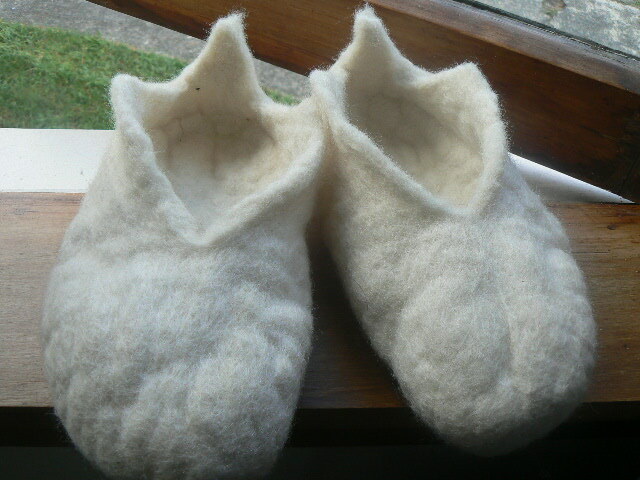 My first go at felting slippers was a bit nerve racking, but fun. I did some research first, looking at many and varied websites and the odd book, but in the end I mostly followed the instructions on this blog – For The Love Of Felt and it worked a treat. Not perfect of course but the next pair will be better. Felted a spectacle case today to house my much abused glasses. I need two pairs now as I have become long sighted as well as short. 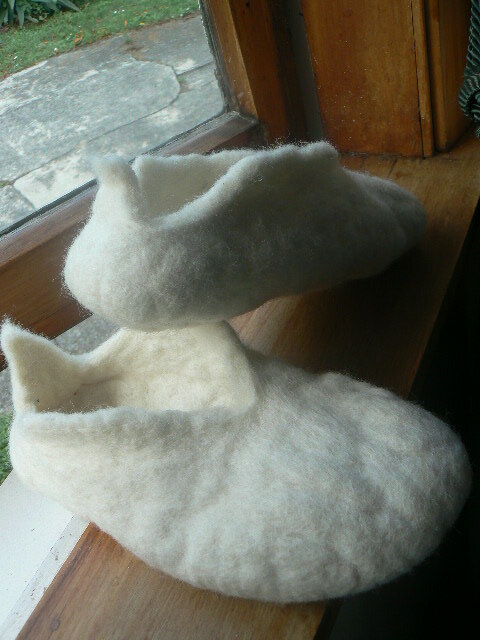 I was going to make another pair of slippers, trying out the boot style, but I already had a commission to make a curly heart brooch, my studio was in need of a purging and I had a friend calling for coffee so felted boots were not created. Everything takes a lot longer when you are starting out to learn. The studio purge has meant that I have FINALLY thrown out my uni essays and my teenage poetry. I kept the essays because of all the work I put into them and some of them I was really proud of – but the poetry? I have no excuse for keeping them for so long. Really I could have given the Vogons a run for their money. We are heading out to the country to spend the weekend with our friends Julie and Blair tomorrow. They live deep in the Mangatarere Valley and I love it there, I love the darkness and utter silence at night – except for the odd Morepork (owl) or two. Thank you – especially for your help! Ooh, they are funky, I like them!